It’s the Yankee Captain’s last series of games this week, and fans have poured onto the web to express their feelings, good and bad, about Derek Jeter’s farewell. Brands have also jumped on the sentimental bandwagon (which is called trendacking) by releasing exposé interviews and videos in homage of Jeter’s career—and you should, too. Jeter’s ends his career as shortstop in Boston this Sunday, September 28th. You’ve got three days. 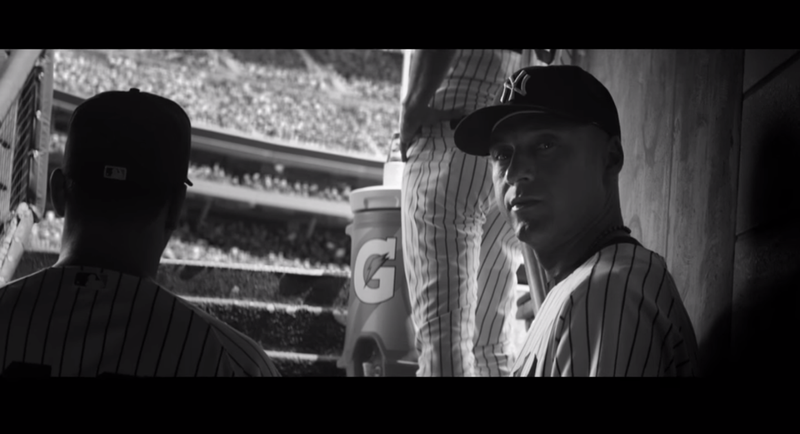 Last week’s poignant Gatorade ad was the most shared content about Derek Jeter in the last 30 days of his career, with over 250% increase in social mentions. Take a look. The second spike, on September 7th, was when Yankee Stadium declared it “Derek Jeter Day” and honored the captain in the pregame ceremony. Other popularly shared stories include the little girl who threw a foul ball back into the field, tributes he received from teams, including the Rays’ kayak, and his hometown of Kalamazoo. Each of these successful pieces of content have common characteristics––aside from talking about Derek Jeter. 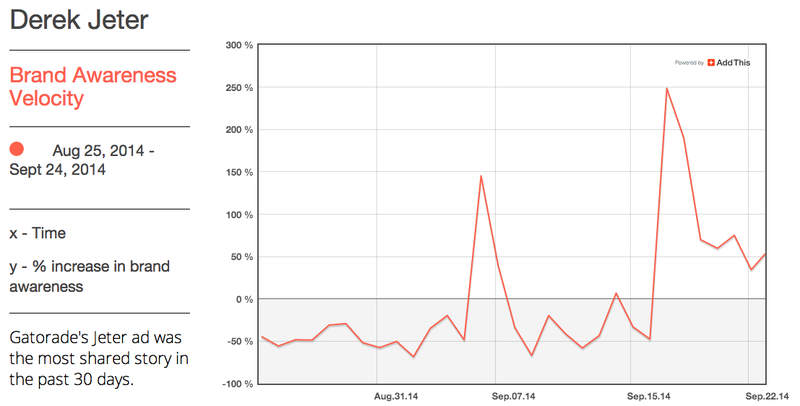 This is a trendjack you may want to take advantage of, especially if your audience is reading about the athlete. Has Derek Jeter already been a part of your content strategy? Will he be?